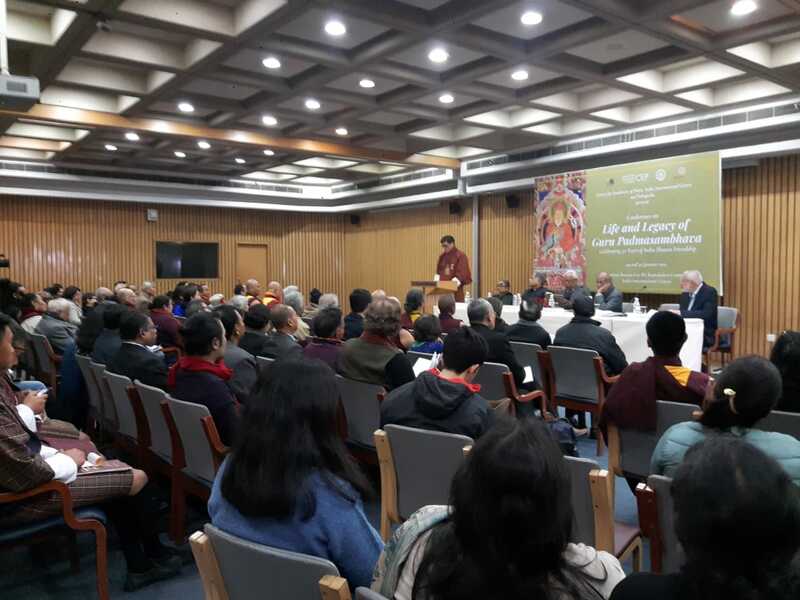 The Centre for Escalation of Peace (CEP), India International Centre (IIC) and Sahapedia organized a two-day conference on the rich tradition and legacy associated with Guru Padmasambhava, one of the most revered and iconic figures for Buddhists today. 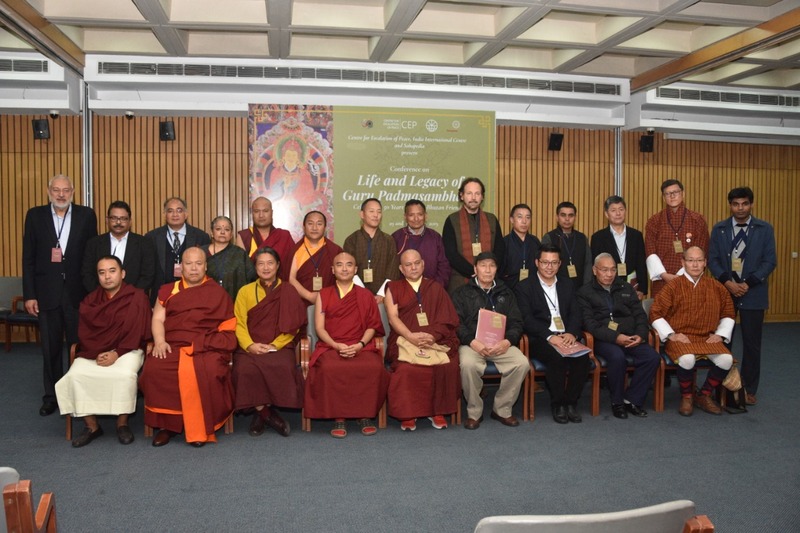 The conference titled ‘Life and Legacy of Guru Padmasambhava’, was held at IIC, New Delhi from 29-30 January 2019. Shri N.N. Vohra, President of the IIC, inaugurated the event. The keynote address was delivered by Dasho Karma Ura, President of Centre for Bhutan Studies. Mr. Sonam Tobgay, CDA a.i. from the Royal Bhutanese Embassy also made Opening remarks during the inauguration. Other speakers included accomplished Buddhist practitioners such as Mingyur Rinpoche, Neten Chockling Rinpoche and distinguished scholars such as Wangchuk Dorjee Negi, Karma Phuntsho and Ian Baker. The event brought together some of the most distinguished scholars from Bhutan, India, Nepal and Thailand, who spoke about aspects of the Guru’s life and highlighted his teachings for our contemporary world. The conference is dedicated to the 50 years of diplomatic relations between India and Bhutan. The Valedictory Session was addressed by the Venerable Tshug-La Lopen Samten Dorji from the central Monastic Body of Bhutan. His Eminence said that of the many places, Bhutan is one of the most important places visited by Guru Rinpoche. He said that Guru Rinpoche is regarded as one of the Patron Saints in Bhutan and has had a huge impact on the lives of the Bhutanese people from the time they are born till the time of their death. His Eminence also said that Guru Rinpoche had prophesized the coming of great leaders in Bhutan like the great religious leader Zhabdrung Ngawang Namgyel and successive Dharma Kings of the Wangchuck Dynasty. The conference was accompanied by an exhibition of rare thangka paintings, sculptures and photographs associated with Guru Padmasambhava. Exhibits have been loaned by both individuals and organizations, including from the Secretariat of His Majesty The King of Bhutan, Tibet House in Delhi, the Palpung Sherabling Monastery, Library of Tibetan Works & Archives and Tsurphu Labrang. The exhibition will remain open for visitors at the IIC until 3 February 2019.